If you have found See the Holy Land helpful and would like to support our work, please make a secure donation. The original inhabitants of Jerusalem lived not on the site of today’s Old City, but on a narrow ridge descending south from the present Temple Mount. This is where King David captured the fortress of a Canaanite tribe, the Jebusites, 1000 years before Christ. On this slender spur — about 5 hectares (12 acres) in area — David established his capital and pitched a tent to house the Ark of the Covenant. The site possessed the natural defences of the Hinnom valley to the south, the Kidron Valley to the east, and the Tyropoeon Valley (now largely filled in by the debris of centuries) to the west. And it had fresh water from the Gihon Spring gushing at its foot. Besides David and his son Solomon, this would have been the stamping ground of kings Hezekiah and Josiah and the prophets Isaiah and Jeremiah. Standing on the observation platform of the City of David archaeological park, it is easy to see how David could have looked down from the roof of his palace and spied the beautiful Bathsheba bathing (2 Samuel 11: 2). Today the area is pitted with archaeological digs as intensive efforts continue to uncover evidence of David’s city. While there are claims that parts of David’s palace have been uncovered, archaeologists are generally unconvinced (and David’s tomb remains elusive). The excavations have also attracted controversy. 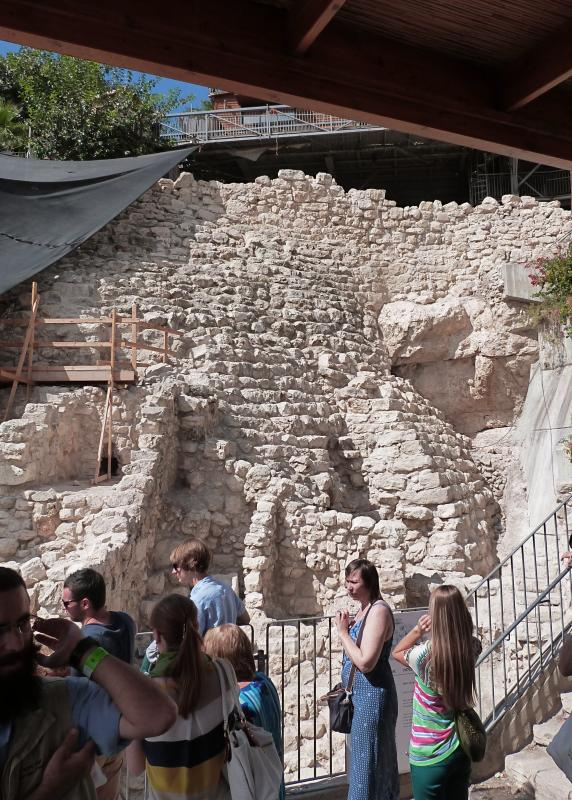 Though the City of David is a national park, it is run by a private Jewish settler organisation, the Elad Foundation, which also funds its archaeological work. 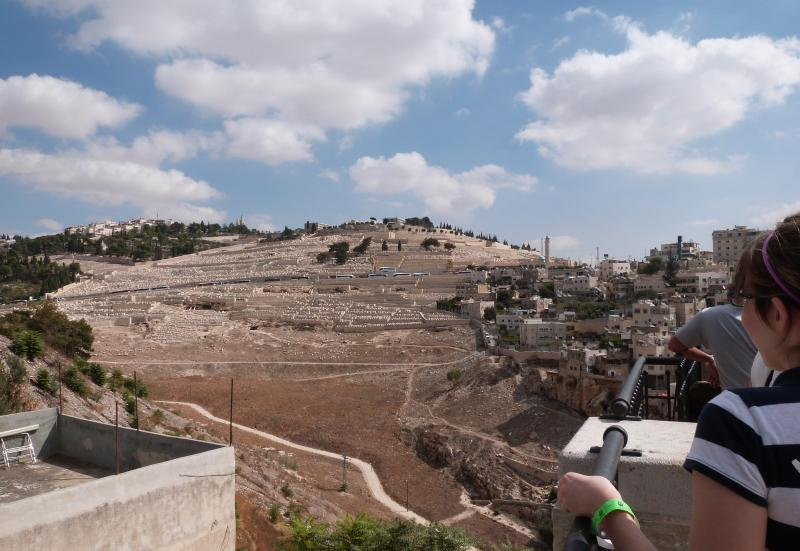 Tensions have arisen as excavations and park facilities spread down the slope of the Kidron Valley and into properties of the predominantly Arab village of Silwan. At the summit of the excavated area is a massive stepped-stone structure. Dating from before the 10th century BC, it is believed to have served as a retaining wall for David’s palace or the Canaanite fortress that preceded it. Later, when Solomon had built the first Temple on Mount Moriah (now the Temple Mount), stately homes for Jerusalem’s elite and royal functionaries were built on the stepped-stone structure. Their opulent character is indicated by artifacts including cosmetics and remains of furniture made of wood imported from Syria. One four-room building immediately below the stepped-stone structure, called the House of Ahi’el (because the owner’s name was found on a pottery fragment), had an external stone staircase leading to a second storey. In one room a limestone toilet seat was embedded in the plaster floor, with a cesspit beneath it. There was also an official archive in old Jerusalem. Its papyrus documents went up in flames with the rest of the royal quarter when the Babylonians destroyed the city in 586 BC, but dozens of clay seals survived. Some of the seals bear names known from the Bible, such as Gemariah son of Shaphan, a high-ranking official in the court of King Jehoiakim (Jeremiah 36: 9-12), and Azariah son of Hilkiah, a priest who served in the Temple at the time of the exile to Babylon (1 Chronicles 9:10). Another clay seal found in the City of David contains the name of Bethlehem — the first mention of this ancient city outside of the Bible. At the base of the Temple Mount are the remains of a Byzantine monastery, with adjacent winery and hospice for pilgrims. This is probably the “monastery of virgins” described by the 6th-century pilgrim Theodosius. The importance of water to Jerusalem’s early residents is evident from the elaborate tunnels and fortifications they established to access, manage and defend it. Crucial to the city’s survival was the Gihon Spring — shown on some old maps as the Virgin’s Spring, a name that may owe its origin to an earlier Jewish name, the Well of Miriam (the sister of Moses). Since Miriam is Hebrew for Mary, this could explain an unlikely Christian legend that the Virgin Mary washed Jesus’ swaddling clothes here. As far back as 1800 BC, the Jebusites fortified the Gihon with massive guard towers. They cut a system of tunnels from within their city walls to a rock-cut pool, also fortified, that received water through a feeder channel from the spring. Visitors can now traverse some of this subterranean water system, known as Warren’s Shaft (after the British engineer who discovered it in 1867). 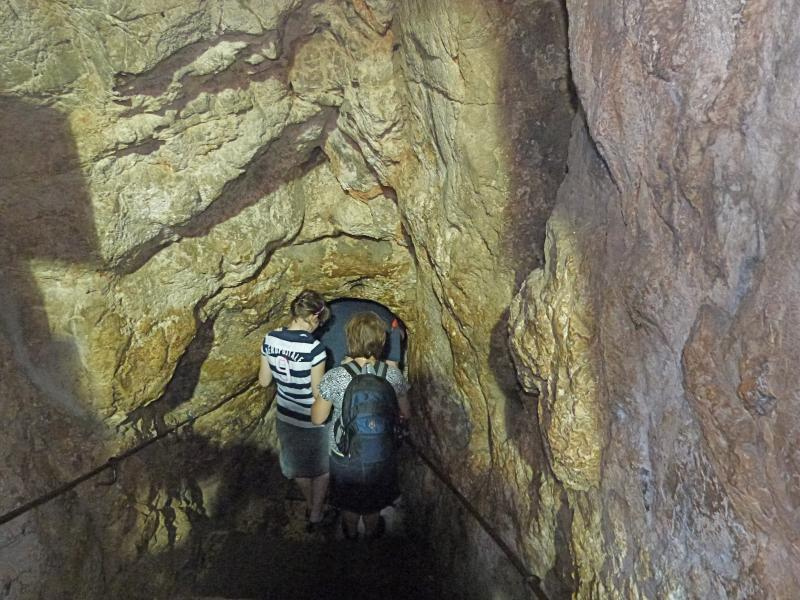 They can also walk from the Gihon Spring through the 530-metre Hezekiah’s Tunnel. 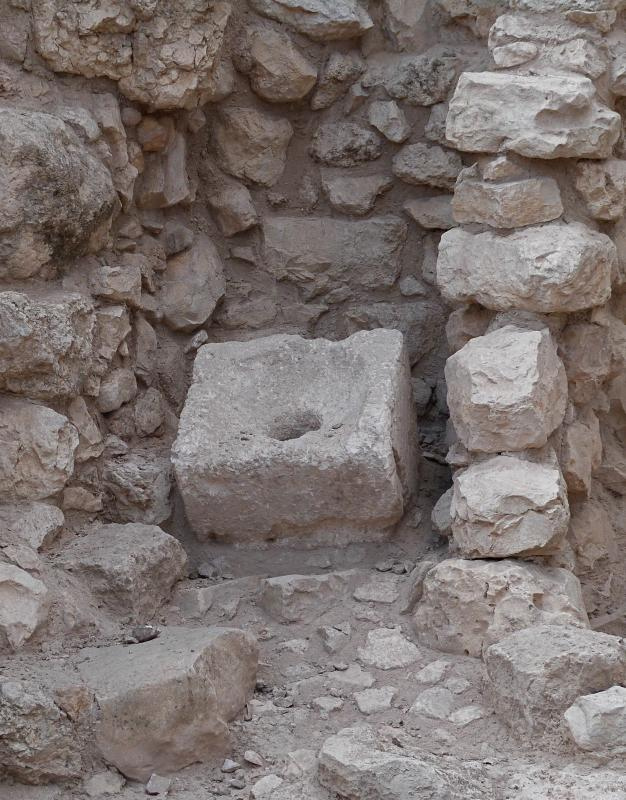 King Hezekiah’s workmen dug this in the 7th century BC to bring water to the Pool of Siloam inside his city, in preparation for an impending siege by the Assyrians. 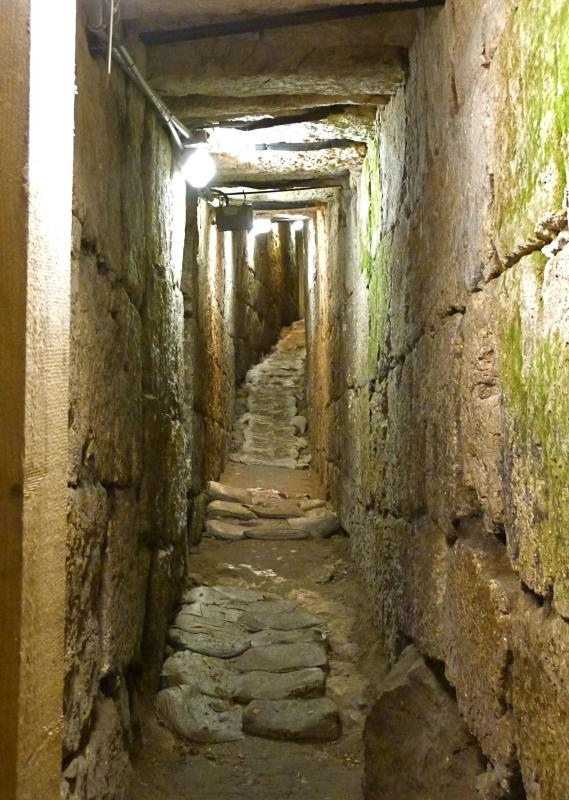 If this dark and winding tunnel, with water thigh-high in places, is too daunting, an adjacent Canaanite tunnel provides a well-lit and dry-shod alternative. 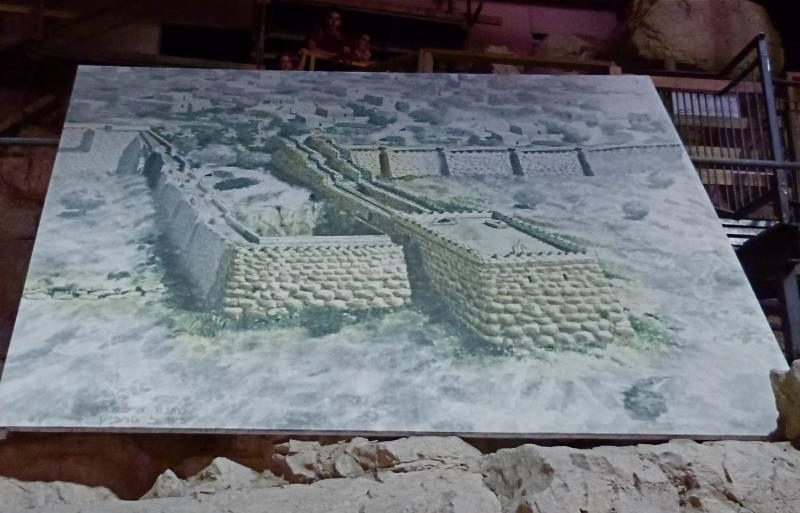 From the Pool of Siloam, visitors can walk on a section of the Herodian street — now also below ground level — that hundreds of thousands of Jews used three times a year to ascend to the Temple during pilgrim feasts. Jesus almost certainly walked this way. Beneath the level of this street is another tunnel — the drain that took stormwater and sewage from the Old City to the Kidron Valley in Roman times. 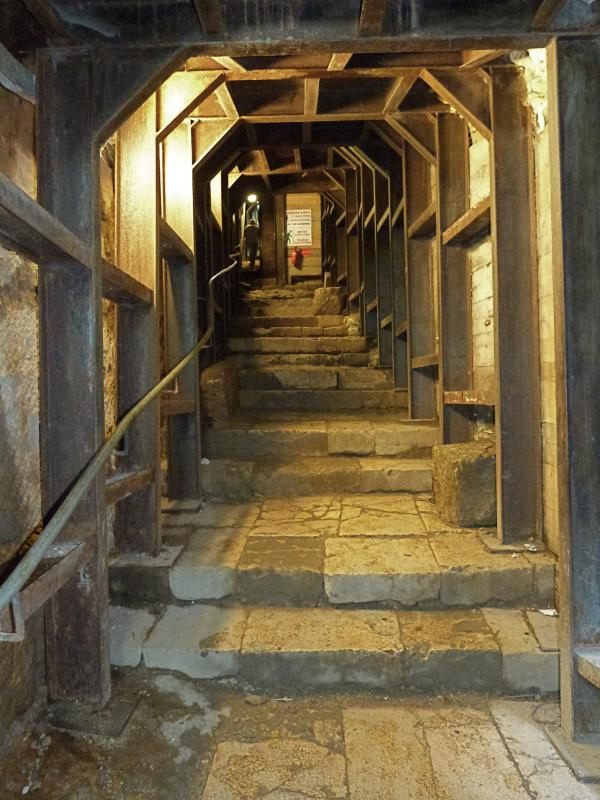 Now cleaned out, this tunnel enables visitors to walk 700 metres uphill, along the edge of the Tyropoeon Valley and under the Old City wall, to an exit near the Western Wall. Among the items discovered in this tunnel were a rare gold bell, perhaps once sewn to a high priest’s garment, and an ancient silver shekel, customarily used to pay the half-shekel head tax to the Temple. A more sombre find was a Roman sword, with its leather sheath partly intact. As the Romans overtook Jerusalem in AD 70 during the First Jewish-Roman War, with the Temple in flames, the last of the Jewish rebels hid in the sewers. “Those in the sewers were ferreted out, the ground was torn up, and all who were trapped were killed,” reported the historian Flavius Josephus. Open: Sun-Thur, winter 8am-5pm; summer 8am-7pm; Fri, winter 8am-2pm, summer 8am-4pm. Closed on Saturdays and holidays; early closing on holiday eves.